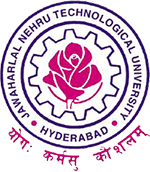 JNTUH B.Tech 1-2 Sem (R16) & 1st Year (R15) Advanced Supply Exam Time Tables Aug 2018, Jntu Hyderabad 1-2 sem r16 and I year R15 time table 2018. JNTUH has announced B.Tech 1-2 Semester R16 Regulation and I year R15 Regulation Advanced Supplementary examination time tables August 2018. Students can check and download official time tables from links given below. We the lateral entry students deserve a second chance sir, please conduct an advance supply for 2-1 or 2-2.